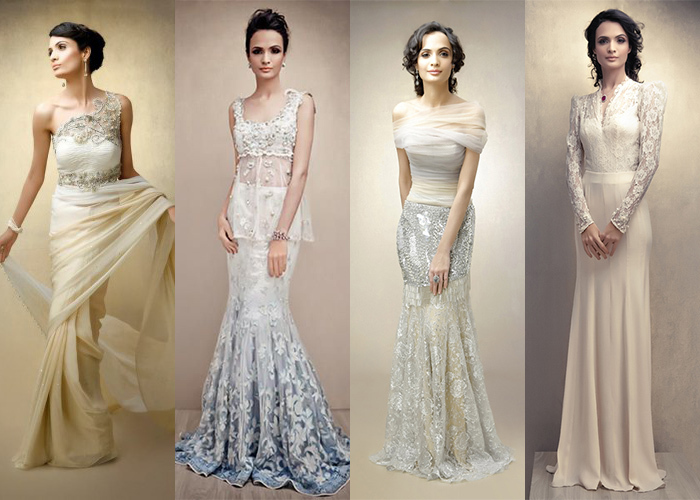 Founded by Nimrit & Jyoti Gill, the label is known for its flattering cuts and elegant beadwork. 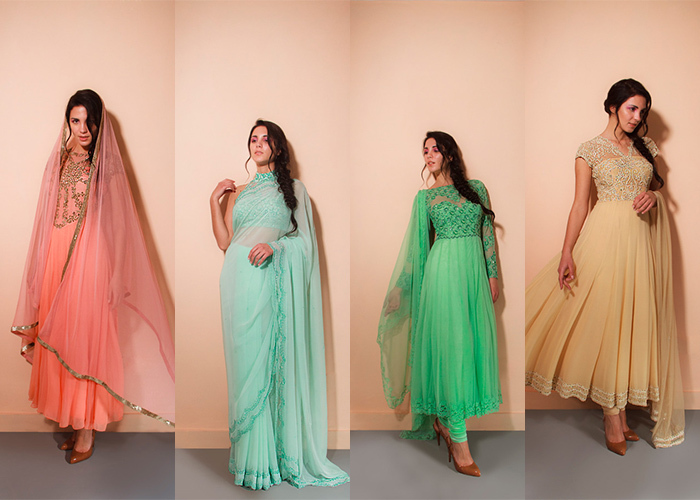 Malasa creates luxe Indian apparel with contemporary cuts, fluid silhouettes and delicate embellishments. Perfect for a bride that likes to shine while keeping it simple. Ancient handwork juxtaposed onto modern silhouettes has been this designer’s MO right from her first collection comprising folds and origami interspersed with Indian textiles and embroidery which she showcased at Lakme Fashion Week. The kind of ensemble that befits a bride as well as her crew, Narang’s designs strike an interesting balance between being traditional and playful. Straddling the sweet spot between Indian and western wear, Nadine is a label that specialises in modern designs using quality fabrics and exquisite embroidery techniques. Dhody’s creations include snug cutout dresses, off-shoulder blouses and heavily encrusted, feathered gowns, encouraging brides to adopt an avant-garde persona. Having worked on couturier Tarun Tahiliani’s team for 17 years — she was even head of couture and womenswear at one point — Karbhary’s creations are backed by her wealth of experience. Maintaining a colour palette that essentially consists of nudes and pastels, the designer is favoured by brides who have minimalist leanings. 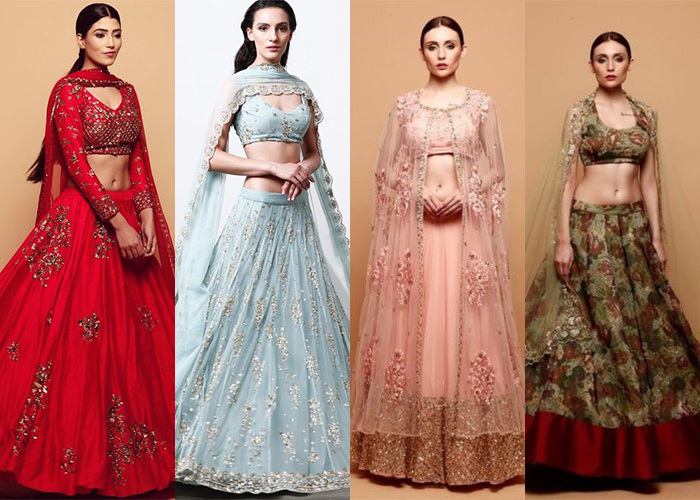 A label that is advocated by the likes of Alia Bhatt, Shraddha Kapoor and Athiya Shetty, Koëcsh finds its appeal among brides who have opted out of the traditional route, giving in to– tassels, tulle, floral veils, bustiers as blouses, bralets et al. 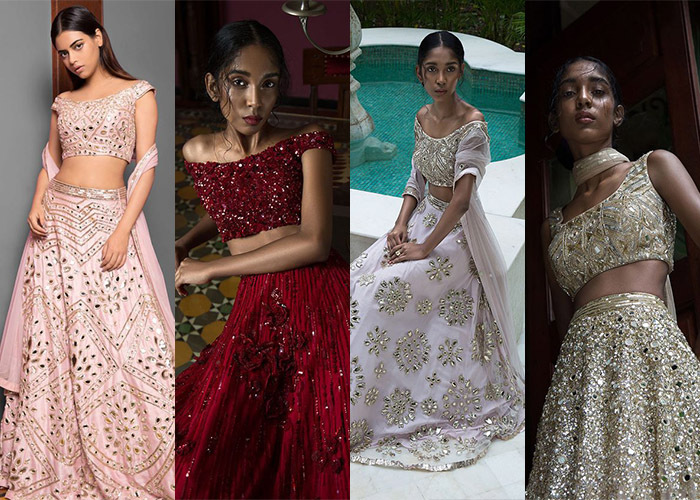 If you’re a sucker for romance, you could also opt for Bajaj’s ‘Lovestory Lehengas’ in which the designer portrays a couple’s journey through embroidery, even doing it for her own wedding. Karan Berry and Leon Vaz co-founded Karleo, which is, of course, a play on their first names, and a label that creates bespoke wedding gowns. Having worked with couture labels like Armani, Valentino, Marchesa and Ralph Lauren, the duo decided to amalgamate Indian inspirations and textures with a western approach to design. 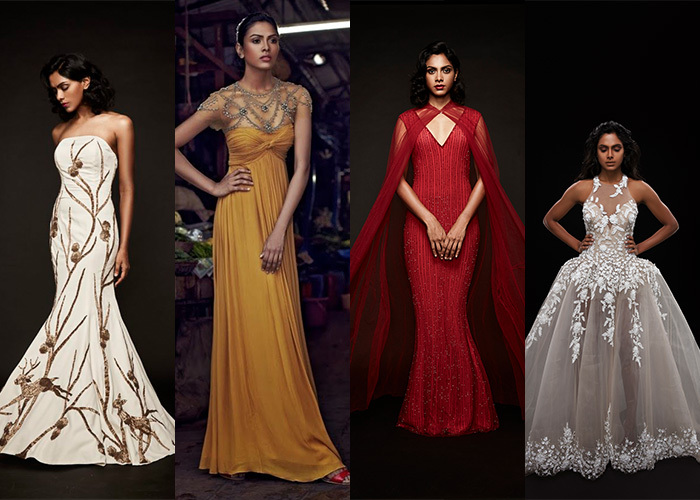 Specialising in gowns that do away with Indian silhouettes, the label aims to replicate the standard of international wedding gowns for a bride that has always dreamed of a white wedding.